Leah Penniman started Soul Fire Farm in Grafton, NY, 12 years ago with the goal of providing fresh produce to her under-served community. Since then, the former Fulbright scholar has begun offering workshops aimed at eradicating racism within the food system. Penniman closes her e-mails with the Malcolm X quote on the opposite page. An alarming series of stats bears out her logic: Heart disease, type 2 diabetes, and other potentially fatal diet-related illnesses afflict African Americans at nearly twice the rate they do Caucasians. Black people are four times less likely than white ones to live within a mile or two of a supermarket, while predominantly black neighborhoods boast 13 times as many fast-food billboards. The polite euphemism for this specific facet of institutionalized racism is “food desert.” Penniman prefers the term “food apartheid.” “I’ve experienced first-hand how difficult it is to live in a place where you have to hustle for vegetables,” says the mother of two. Since then, the farm’s mission has expanded to include the cultivation of fellow entrepreneurs of color. In 2012, Soul Fire hosted its inaugural Black-Latinx Farmers Immersion, an intensive week-long course that consists of lessons devoted to amending soil and slaughtering chickens, plus yoga and drum circles. “This is a culturally relevant celebratory space. There is movement and singing. We have mad fun,” Penniman says. “Still, the endgame remains land and food sovereignty for disenfranchised populations.” So far, the course claims 347 graduates, 83 percent of whom are currently farming, involved in other food-related businesses and organizations, or growing their own food. A total of 100 new acolytes will attend five sessions scheduled for this summer and fall. In 2013, Penniman struck a deal with the Albany County District Attorney’s office, allowing area youth to abbreviate their juvenile detention sentences, and earn food for their families, by logging time at Soul Fire. “Black and brown children, many arrested as young as 11 for skipping school or petty theft, find themselves trapped in a downward spiral of incarceration,” she laments. “We’re countering that narrative with hope.” Beyond the oft-cited “healing power of the soil,” this arrangement grants kids access to hip role models who represent an alternative path. 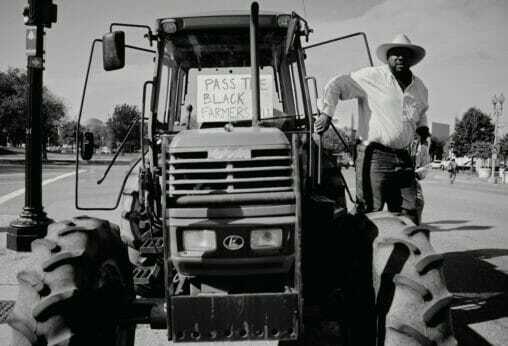 John W. Boyd Jr., 52 (pictured here with his tractor, “Justice,” in 2010), founded the National Black Farmers Association in 1995. A year later, the Virginia farmer led a march on Washington to protest the USDA’s discriminatory lending practices, spurring the agency to suspend all loan foreclosures. It’s a condition Renard “Azibo” Turner calls “anti-agricultural blacklash.” As a child, Turner was the sole black kid in his California chapter of Future Farmers of America. Today, he raises organic vegetables and myotonic “fainting” goats for meat on 94 acres outside Charlottesville, Virginia. The 65-year-old has tried to recruit young African American farmers through his long line of leadership positions – board president of the Virginia Association for Biological Farming, national secretary of the American Kiko Goat Association, member of the USDA’s Minority Farmers Advisory Committee – with little success. “The majority of black people I encounter are not interested in doing anything agricultural because they relate it to slavery,” he says. A former member of the USDA’s Minority Farmers Advisory Committee and the proprietor of Vanguard Ranch near Charlottesville, VA, Renard “Azibo” Turner believes that slavery permanently soured many African Americans on agriculture. A century ago, the demographics looked much different. In 1920, before the Great Migration drew some six million African Americans to cities such as Chicago and New York, 14 percent of the farm owners in this country were black, at a time when only 10 percent of the population was. Collectively, those one million individuals owned 15 million acres of land. Over the ensuing decades, however, these farmers left agriculture at a rate three times faster than their Caucasian counterparts, and by 1992, the percentage of U.S. farms owned by African Americans had dwindled to less than one percent. By owning her farm, and being her own boss, Fannie Lou Hamer became impervious to the scare tactics of white employers. “She and others like her were able to take a role in the front lines of voter registration drives, were the first to sign petitions, and didn’t hesitate to speak up at NAACP meetings,” says Leah Penniman. Adding insult to these injuries, increasing agricultural consolidation put the squeeze on black farmers unable to access the capital necessary to scale up. By 1982, the average farm operated by a white American spanned 440 acres, more than four times the size of an average black-owned one. Black farmers couldn’t get big, so they got out – typically via foreclosure notice. 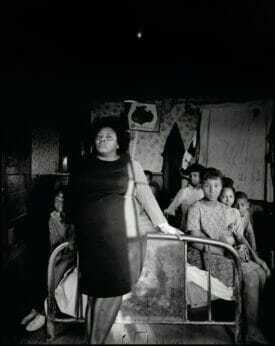 This photograph of the late civil rights activist Fannie Lou Hamer (foreground) was taken in 1970, one year after Hamer formed the Freedom Farm Cooperative in Sun ower County, MS. 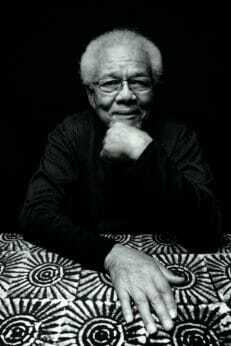 Finally, in December 1996, John W. Boyd Jr., founder of the National Black Farmers Association, and approximately 50 of the organization’s members marched to the gates of the White House, protesting the USDA’s discriminatory lending practices and demanding to speak with President Clinton. Though a meeting was not forthcoming, Clinton’s secretary of agriculture, Dan Glickman, immediately suspended foreclosures on all unpaid USDA loans, pending an investigation. A year later, one of the protesters, Timothy Pigford, a corn and soybean farmer from Cumberland County, North Carolina, initiated a class action lawsuit against the USDA. Pigford v. Glickman resulted in the largest civil rights settlement in U.S. history at the time, awarding more than $1 billion to almost 16,000 African American farmers. A subsequent suit, known as Pigford II, awarded an additional $1.25 billion to 18,000 farmers in 2010. Over the past few decades, the expanding organic sector has offered a lifeline to small farms, given that organic crops are, on average, 30 percent more profitable than conventionally grown ones. Unfortunately, Penniman and Turner are among the few African American farmers taking advantage of this fact. “People of color have been woefully underrepresented in the organic arena,” says Owusu Bandele, a professor emeritus of plant and soil sciences at Southern University in Baton Rouge, Louisiana, who established Food For Thought Farm, the first black-owned certified-organic operation in the state. In 2007, Bandele, 75, co-founded the Southeastern African American Farmers’ Organic Network, which helps black farmers in the region navigate the organic certi cation process and grants minor loans, as well as other forms of assistance. The organization, headquartered in Atlanta, currently counts 50-plus black-owned certified-organic farms among its ranks. “The possibilities, both ecologically and economically, are truly exciting,” he says. 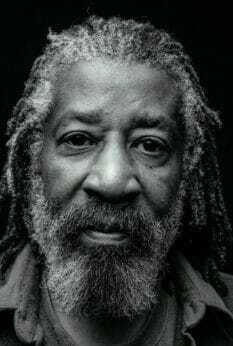 Owusu Bandele is a professor emeritus of plant and soil sciences at Southern University, a historically black land-grant institution in Baton Rouge, LA, and the founder of the state’s first African American”“owned certified-organic farm, the aptly named Food For Thought. In 2007, Bandele helped launch the Southeastern African American Farmers’ Organic Network. 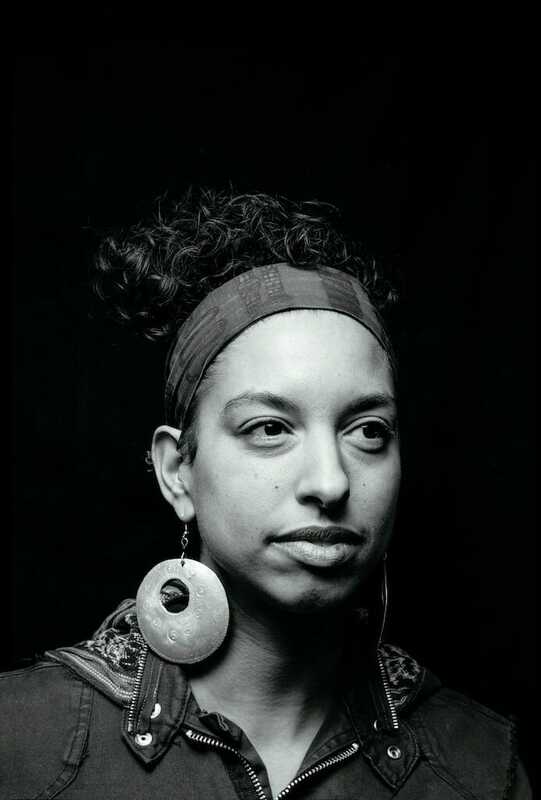 Editor’s Note: Leah Penniman is the author of the forthcoming book Farming While Black (Chelsea Green Publishing), which will be out in November 2018. Pre-order it now at Amazon.com. We also have to consider the original Native American Aborigines or American Indians. A few million of us STILL exist among the African-American population. As a LOT of us were dispossessed and enslaved with West Africans we became re-classified as African-American based on Skin Complexions alone.!!! We are not originally Moors, Jews, Arabs or Caucasians but we were impacted by the migrations and intetmixtures here. Still there are millions of us among the African-American population that still retain, promote and sustain our natural Indigenous heritage.